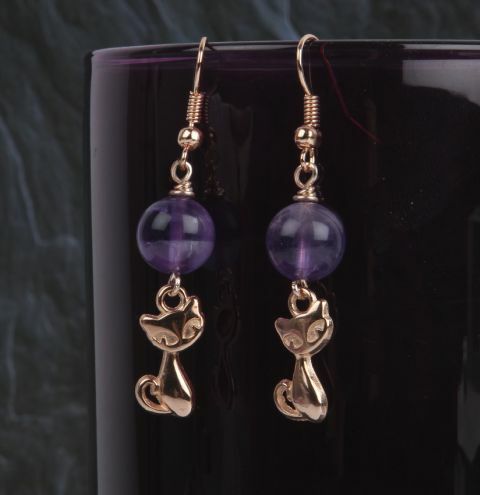 Make a mystical pair of cat earrings using amethyst semi-precious beads! Insert an eyepin through a gemstone bead and create a wrapped loop. If you haven't made a wrapped loop before, you might find THIS VIDEO useful. Open the loop of an ear wire and attach it to the wrapped loop you just made. Open the bottom loop of the eye pin and connect it to your cat charm.